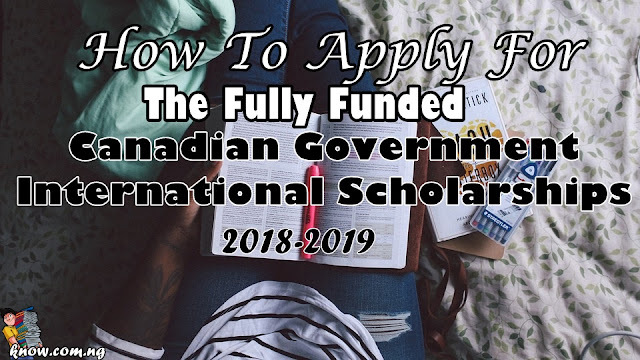 It's time again for the annual fully funded Canadian Government International scholarships. The Lester B. Pearson International Scholarship Program is now available on offer at the University of Toronto in Canada. It is an opportunity available to students from around the world are eligible to apply to pursue the undergraduate program. The program is focused on recognizing international students who demonstrate exceptional academic achievement and creativity and who are recognized as leaders within their school. Scholarships opportunity available to all fields offered by the university. This scholarship is taken In Canada. The scholarship is tenable only at the University of Toronto. All international students that meet the criteria are eligible to apply for this scholarship program. Applicants must meet the university’s English Language Requirement. - Receive a nomination from your school. - Apply to study at the University of Toronto to begin your studies in 2018 and complete your application for admission by the appropriate deadlines. - Once the school have received a nomination and you’ve applied to the university, you can complete the online Lester B. Pearson Scholarship application. Student Application Deadline: January 2019. To find out more, please visit the official website Future.Utoronto.ca.